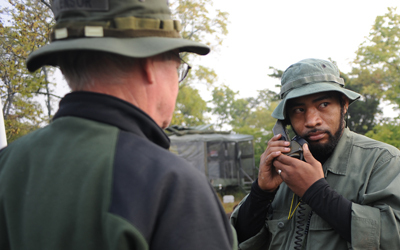 Commander’s Critical Information Requirements (CCIR) are defined by the Department of Defense as a comprehensive list of information requirements identified by the commander as being critical in facilitating timely information management and the decision making process that affect successful mission accomplishment. Huh. Well that’s a workable definition, though it creates a breech of protocol by including in the definition the same words as the term being defined. My high school English teacher would say this definition is a bit vague. I certainly had to read it a few times before it started to sink in. How about this instead – CCIR is intelligence data needed to make well-informed decisions. I tend to think the first “c” (commander) implies the “whom” of the term and definition. But frankly there is a bit of a danger here in overemphasizing the commander in the definition. Yes, it is certainly true that the commander dictates the CCIR with the help of experienced subordinates. It is further true that the commander is an end user of CCIR, and is ultimately responsible for the outcome of the mission. However, it would be a mistake to think that CCIR is solely used and gathered by the commander! Every Soldier a sensor. This expression illustrates exactly who is responsible for gathering and passing along CCIR. Everyone. Okay, we’ve defined CCIR as the intelligence data the commander needs to make decisions. But what exactly is that intelligence data? And where does it come from? How do we collect it and report it? Doctrinally speaking there are two subsets of CCIR that concern the collection of intelligence data – Priority Intelligence Requirements (PIR), and Friendly Force Intelligence Requirements (FFIR). Yet from a practical perspective there is a third concern, the Essential Elements of Friendly Information (EEFI). So if you’ll pardon the alphabet soup of military acronyms, CCIR includes PIR and FFIR in terms of intelligence data collecting; plus EEFI in terms of information security. Such definitions may be overly simplistic, however at the tactical level of warfare these definitions are both accurate and pragmatic. PIR is information the commander needs to know about the enemy. Of course this entails the disposition of the enemy force, but also subtleties that may not be so obvious at first. PIR may also include the disposition of the civilian populous relative to enemy efforts, as well as weather and terrain conditions that impact enemy operations and logistics. Have winter snows closed down the high altitude pass from which the enemy is relying for supplies? Has the civilian population and/or key leaders turned against the enemy force due to recent enemy activities? If so, this PIR is indeed critical to the commander’s next decision, assuming of course the commander wishes to exploit the enemy’s disadvantage. – The enemy’s location and position. – The enemy’s activities or significant actions (SIGACT). – The enemy’s relative combat power – troop strength and morale, weapon capability, logistical constraints, and communication restraints. Every bit as important as where the enemy is located – is where the enemy is not. Where the enemy is not also opens doors of possibilities. It’s worth mentioning that where the civilian population is absent requires some explanation, too. Especially when civilians are absent from locations where they normally populate and reside. Who collects PIR? Again, everyone. But PIR is further assigned to Intelligence, Surveillance and Reconnaissance (ISR) assets. This includes virtually every imaginable type of patrol, mounted or dismounted, as well as more sophisticated collection methods used by Signal Corps electronic warfare and Military Intelligence via manned and unmanned aerial vehicle (M/UAV) platforms. Finally, networks of spies and informants are also used to collect human intelligence (HUMINT). What is critical about PIR, like all aspects of CCIR, is that it must be identified and assigned! PIR that is too general in nature will be easily and routinely overlooked. PIR needs to be specific enough to focus intelligence collection efforts on the objective. It should also be assigned to specific units for collection. PIR must not be left to the “honey do” list of various units, unchecked. After all, the only tasks that get completed are those tasks that are checked. FFIR is information the commander needs to know about his own forces. Yes, this includes the disposition of friendly forces during operations. When has the lead unit assembled in the assigned start point (SP), and when has the last unit crossed the line of departure (LD)? These are exactly the sorts of questions the commander needs to know about the status of his forces. But FFIR is so much bigger in scope than merely fire and maneuver coordination. A plan is based on a series of facts and assumptions. If the facts change or the assumptions are no longer valid, the commander must then adjust the plan! Who informs the commander of these changes in facts and assumptions about our friendly forces? Aren’t FFIR assigned to some staff officer in the Tactical Operation Center (TOC)? The answer isn’t as simple yes or no. Yes, certainly a staff officer is assigned to report specific changes in FFIR. But a TOC can only report what it knows – that is, what has been reported to the TOC by subordinate units. This requires timely and accurate reports from the subordinate units. – Report at 10, 20 and 30 percent troop casualties for the unit in whole. – Report at 50 percent troop casualties for any single subordinate unit. – Report at 10, 20 and 30 percent consumption of ammunition or fuel for the unit in whole. – Report at 50 percent consumption of ammunition or fuel for any single subordinate unit. – Report at 50 percent loss of crew served weapons for any single subordinate unit. – Report at 25 percent loss of land-borne vehicles for any single subordinate unit. – Report any loss of air-borne vehicles. – Report any loss of medical evacuation assets. – Report any loss of ISR assets. Note that some FFIR look at the unit as a whole, while other FFIR consider the conditions of each subordinate unit. A battalion commander would consider the relative operational power of each rifle company; a company commander would consider the same of each platoon; and a platoon would consider each squad’s combat power. It’s not that any single condition set above would absolutely result in the culmination of the mission. However, each of these FFIR may very well mean the commander would need to adjust accordingly to the new facts and assumptions. If the lead element in an attack has hit 50 percent losses in personnel, the commander may opt to rotate that unit to the rear of the formation and let another unit take the lead. Furthermore heavy losses due to casualties may mean a further strain on medical evacuation assets, which in turn might potentially clog the lines of communication (LOC) – the route or axis of the advance. Likewise, if the friendly reserve force has consumed 30 percent of its fuel, it can likely still achieve its assigned mission. When that consumption hits the 50 percent mark, the commander may want to allocate fuel supplies to the reserve force. Yet without FFIR being fed back to the commander, these decisions and adjustments go unmade. This can be fatal to our mission. How do we identify those specific FFIR? Many FFIR become apparent through our assumptions of friendly force capabilities through the Military Decision Making Process (MDMP). More specifically this occurs during MDMP Step 4. COA Analysis, more commonly called wargaming the multiple courses of action (COA). During the wargaming process we must state facts and assumptions about friendly force capabilities, and make decisions based on these facts and assumptions. These facts and assumptions can then be identified as FFIR. Once the FFIR is identified, this information is communicated to subordinate unit leaders. A system of checks and a system of reporting is also implemented. Finally, contingency plans must be identified in case these facts later change or assumptions prove invalid. FFIR has been far less practiced as a system than PIR. It’s not that the troops don’t see the problems as they become apparent, but more commonly there is no identified means of communicating the problem when it becomes apparent. And even when FFIR is reported in a timely and accurate manner, if there is no contingency plan, it makes it all the more difficult for the commander to adjust to the new facts and assumptions. Commanders need to be abreast of FFIR, and those staff officers and subordinate leaders taking part in the wargaming of different COA during the MDMP must step up with specific information regarding FFIR. After all, every plan is based on facts and assumptions. The limits of these facts and assumptions become FFIR for the commander! EEFI is information the commander wants to hide from the enemy. Much of this, too, is fairly intuitive – the battle plan, signal operating instructions (SOI), troop strength and movements are all operational security (OPSEC) concerns and need to be kept secret, hidden away from enemy spies and ISR assets. Yet like PIR, EEFI also includes subtleties that aren’t immediately obvious. For example the enemy typically knows the location of friendly troops. The enemy is at least aware of the general position of our forward line of troops (FLOT). If we are conducting patrolling operations from a Forward Operating Base (FOB) the enemy is almost certainly aware of the exact location and dimensions of our FOB. But the enemy wouldn’t know where inside the FOB the command, control and communications (C3) nodes were located. Zebras, after all are well suited to hiding amongst the herd of zebras. In a similar manner, C3 nodes, troops billets and logistical depot locations are unknown to the enemy even when the enemy has a pretty good idea where our forces are. And clearly, these concerns fall under EEFI. If the enemy knew the locations of these priority nodes and placed them under direct or indirect fires during a critical phase of the mission, the disruption to C3 or logistical sustainment could be catastrophic. So we need to establish the EEFI and protect them under Operational Security (OPSEC) methods. Who identifies EEFI? Not surprisingly, EEFI are also derived from the MDMP wargaming process. Each COA will have a set of EEFI, information that we need to hide from the enemy in order for the mission to be successful. While anyone can identify EEFI, typically the S2 Intelligence Officer is responsible for identifying through the COA wargaming process and recommending EEFI to the commander. Again, there are subtleties that need to be grasped. 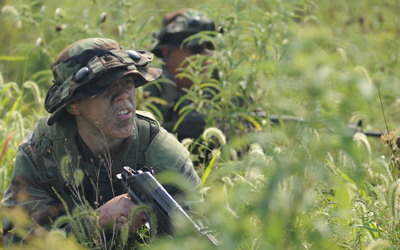 For example, during the COA wargaming phase an experienced warrior may understand the importance of protecting the rules of engagement (ROE) under EEFI. If the enemy understands the limits of the ROE, they can and will leverage that information against our friendly forces. During Operation Gothic Serpent, enemy knowledge of the US Army ROE is precisely how Somali clansmen were able to get so close to US forces and wreak havoc in the Battle of Mogadishu. The US Army defines EEFI as critical aspects of a friendly operation that if known by the enemy, would subsequently compromise, lead to failure, or limit success of the operation. Again, EEFI evolve from facts, assumptions and key tasks of the mission. EEFI are discovered through the MDMP and everyone helps in identifying EEFI. However it is important to remember that EEFI isn’t doctrinally part of CCIR, and it doesn’t become a priority until the commander establishes the EEFI. Commanders – you must establish EEFI. CCIR is necessary for the commander to make well-informed decisions, and as such CCIR has a critical impact on virtually every aspect of the mission. PIR is the means by which the commander tasks his ISR assets. FFIR is the means by which the commander understands the status of each subordinate unit during the mission. And EEFI involves critical information the commander needs to hide from the enemy, for the success of the mission. Each aspect must be identified, assigned, and a system of reporting must be implemented for CCIR to function. Without CCIR we cannot meaningfully adjust the plan once we’ve begun.